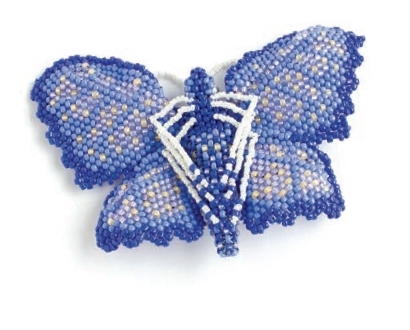 Netherlands-born bead weaving expert Huib Petersen designs beadwork with an organic feel, often featuring flowers, butterflies, insects, and other nature motifs. A popular teacher, he’s taught both in the United States and internationally. 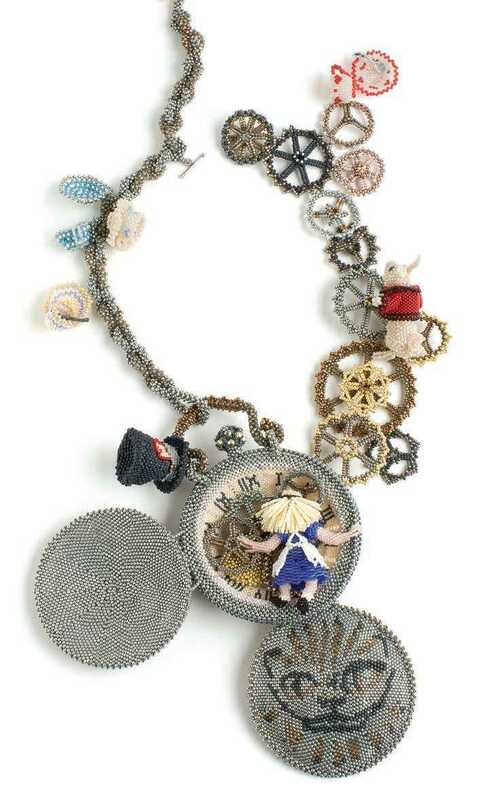 His work has appeared in Masters: Beadweaving (Lark Books, 2008) and Beading Across America (Kalmbach Books, 2011). Huib lives in San Francisco, California. Visit Huib’s website at www.petersenarts.com. Q: When you moved from Holland to San Francisco in 1995, you opened a gallery. What kinds of things did you sell? A: I’d left a puppet theater group in Holland, so I was still doing soft sculptures. I was also trying to become a famous oil painter, but that didn’t work out. Q: And that was before you discovered beadwork! Tell me about that. A: Through the theater, I had done some clothing design. A friend had asked me to make her wedding gown, and she gave me a little sample with some beading. I knew I wanted to do the same kind of beadwork. But the first time I went into a bead store, I walked out, feeling overwhelmed by all the colors. I did go back and buy some beads and a magazine with an article on Russian beadwork. The necklace I made was displayed in my shop window and it sold in a couple of hours. I later took classes with Cynthia Rutledge. Q: Does your theater background help in the classroom? A: What really helped my teaching was that I was a caregiver to about twelve blind children in Holland. The children would come to the institution on Monday and leave on Friday. I was their father figure. Teaching a blind child how to tie shoelaces is one of the most difficult things to do. It really taught me patience. Q: Can you tell me a little about your design process? How do you start? A: I buy flowers and pull them apart to see how they grow. I also have plastic insects; they don’t break as easily as the real ones. Sometimes I make drawings before I start, but rarely. Instead, my sketchbook is a dress model. I make all my elements separately and then see where things go, which colors go together. Q: Do you have favorite beads? A: I’ve done an enormous amount of Russian leaf stitch, also called diagonal peyote stitch. I like tubular peyote because it’s so three-dimensional and have also been using more herringbone and cubic right-angle weave. I like round seed beads because they’re not as perfect — for organic work, they’re the best. 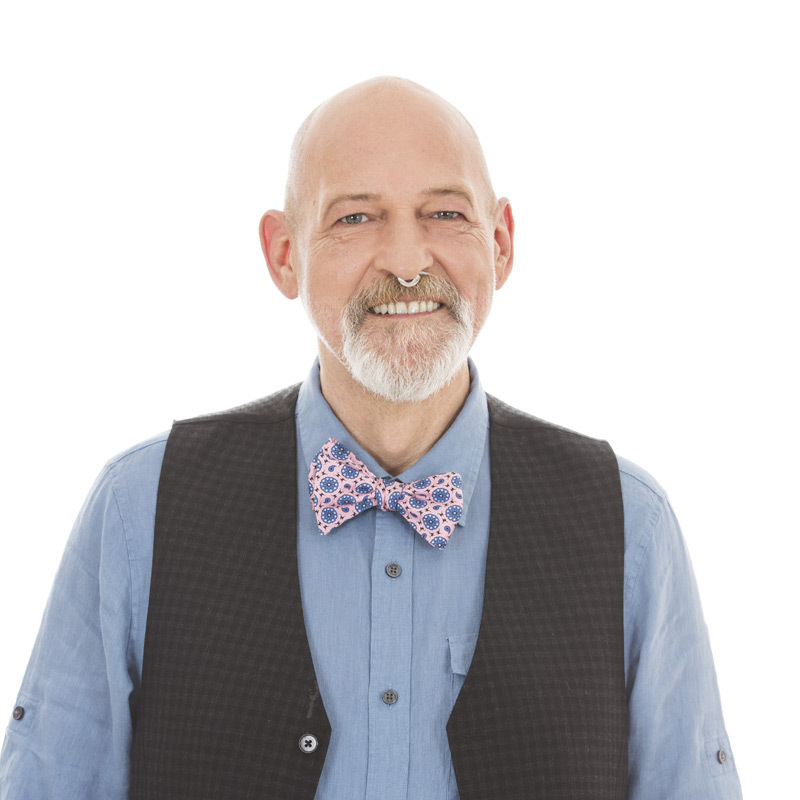 Get Huib Petersen’s Latest Interweave Videos! In Beadweaving 1 with Huib Petersen: Cubic and Prismatic Right-Angle Weave, Huib demonstrates through samples how cubic and prismatic right-angle weave can be used and combined to create beautiful jewelry. From simple ropes, links, and chains to braids, knotting, and architectural structures, these stitches hold many possibilities. 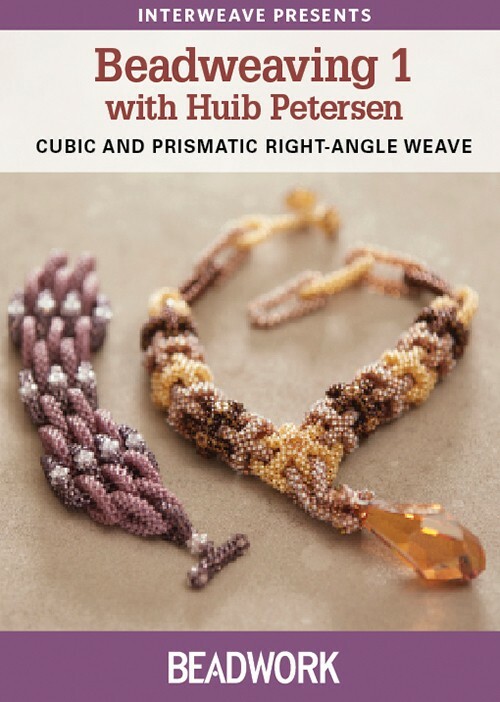 Join bead artist Huib Petersen in Beadweaving 2 with Huib Petersen: Celtic Basketweave Using Cubic Right-Angle Weave as he explores the ins and outs of cubic right-angle weave and Celtic basketweave. In this video, you’ll learn the basics of architectural structure in cubic right-angle weave, and you’ll discover how to turn corners and connect units in hard-to-reach areas. 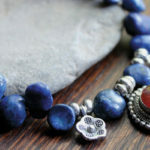 You’ll then use Celtic basketweave to combine layers of beadwork into a gorgeous finished bracelet or collar. 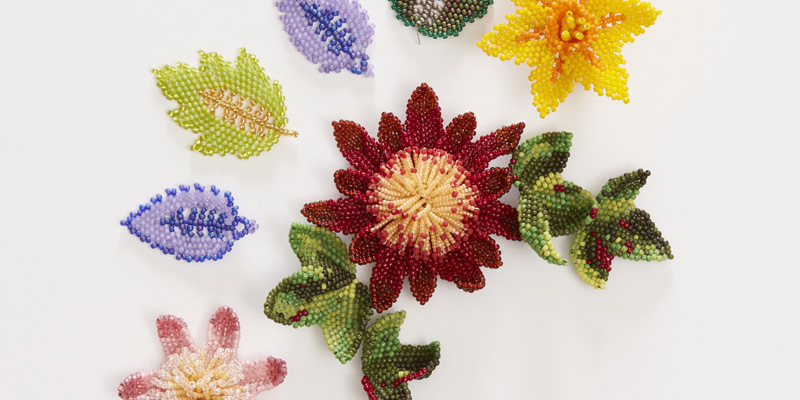 In Beadweaving 3 with Huib Petersen: Diagonal Peyote Stitch, you’ll master the basics of diagonal peyote stitch and learn how to use it to create Russian leaves, oak leaves, and zigzags that can easily be transformed into a finished piece. Beadweaving 1 and 2 are also available on a combined DVD or video download. Get Huib’s videos today in our shop!